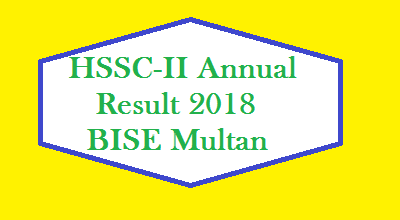 Azad Jammu and Kashmir Board of Intermediate and Secondary Education (AJKBISE) Mirpur City is declaring annual result of HSSC Part 2 2017. 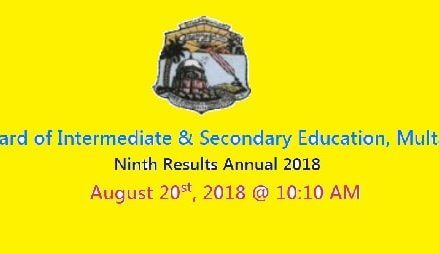 The date of result announcement is set for Thursday, September 7th, 2017. All arrangements are final for this purpose. While the top position holders list and names will also be issued on the same day. The time for topper and shining students announcement has been set at 10:00 AM. The complete result will be online and uploaded on the official website at 01:00 PM. We pray for all students for their success in the higher secondary school certificate examination 2017. Good Luck dear talented and hard working students of Azad Jammu and Kashmir region. ONLINE RESULT will be avaible on the official website on dated 07/09/2017 AT 1:00PM NOON. Note:- Write Your Roll No. and City Name in the Comment Box to Get the Annual Result of FA/FSc Online. Jurisdiction of AJK BISE Mirpur Board? Top Position Holder of HSSC Part II 2017 :- The List of Toppers students will be published and shared on this webpage also. So please stay connected with us. I lost my mark sheet i’ve cleared Hssc part 2 in 2017 my name is Raja Tabish Naheem my fatmer’s name is Muhammad Naheem my total marks are 529 i really need my mark sheet for my university admission please help me.Please tell me about my result status. My self Raja Tabish Naheem s/o Muhammad Naheem I passed the F.A examination in 2017 with holding a roll number 560341 . I lost my marksheet. Will you please send me the status of my result. I shall be very thankful to you. Sir Mera name Fiaz Ahmad ha .M ny Mirpur board sy matric 2015 ma ki or mri sanad abi tk mry school ma b ni ai ..
sir ma job k lia apply krta hun mja zrort hti ha sir wo kasy magvaty hn . plzzzzzzzzzzzz sir tell me procedur . sir Rawalpindi hta hun or ma apny through magvna chata hun school ma chutia hn . plz sir help me . can you please tell me from where i can get gazette for composite exams 2017 as i forgot the roll no. but the result must be found in private-muzaffarabad section of gazette by name of husnain waseem? i lost my roll no. I want to check my Supply Result..
527025 ali hassan please check this its very urgent. my name is Raja Tabish Naheem my fatmer’s name is Muhammad Naheem my total marks are 529 i really need my mark sheet for my university admission please help me. INSTITUTION: GOVT MODEL SCIENCE COLLEGE, MUZAFFARABAD. why do you provide standard services to check result online, instead of instructing students to mention there roll no here which is for comments . INSTITUTION: KASHMIR INSTITUTE FOR ADVANCED STUDIES, MIRPUR. Wait for the Result of HSSC-II announcement.